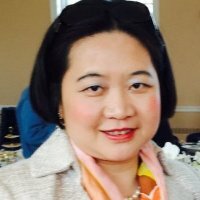 Tina Guanting Qiu is an accomplished ophthalmology physician, trained retinal surgeon, stem cell biologist, and ocular transplant specialist with over 20 years of international experience. She had led scientific research in drug discovery, drug delivery and cell/gene therapy, established and led scientific and medical advisory boards, and served as a strategic advisor to executives in large and small companies (Inotek, LambdaVision, Sucampo, Ocata, GLG). She was Chief Medical Officer at BetaStem Inc., Senior Director at Inotekand Program Leader at GlaxoSmithKline. She has a Medical Doctor degree (with honors) from Nanchang University, a PhD in Ophthalmology from National Sun Yat-sen University in collaboration with Sheie Eye Institute, UPenn followed by post-doctoral trainings at Boston University and Doheny Eye Institute, USC. She has developed, published and lectured across US, UK, Japan and China, and been featured at Scientific American and National Eye Research Center, UK.